A British run through of the Grand Campaign 1914-1991, not so detailed at first, but picks up a bit more as I get more into it. 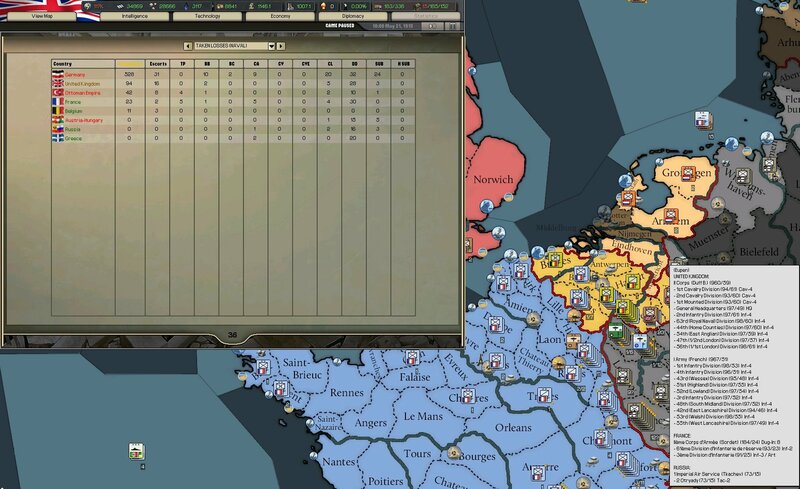 Not even a year into the 'War to End All Wars'™ and the casualty rates are staggering, the Imperial German Navy has been decimated, and breakthroughs on the Western front have allowed the French, Flemish and British forces to retake Belgium. But while Germany has been wounded, she is still dangerous, having struck deep into Russian territory and making dangerous advances to the Meuse, however fierce French resistance have prevented the enemy from taking the western bank. Meanwhile in North Africa, British forces continue their campaign of pushing the Ottomans out of the Sinai, scoring several decisive victories at Arish. Reports from Eastern Europe have been varied, but seem to translate into 'Serbia Stronk'. The German High Seas fleet ran into one of my small cruiser forces which was convoy hunting in the Kattegat, a nearby battleship/cruiser force turned in to assist and the signal was sent to Scapa Flow for Jellicoe to get his backside out of bed and come play. The battle losted long enough for the Grand Fleet to get to the top of Denmark before for some reason the entire German fleet just sank. If I had to create a story for it, I'd say that the High Seas Fleet saw that it was blocked by the attacking RN fleet from fleeing to Kiel and when it saw the Grand Fleet on the horizon it decided to pull the plug. The war rumbles on, with small gains and losses in the west, large but faltering German advances in the east, and relative stale-mate in the Middle East. 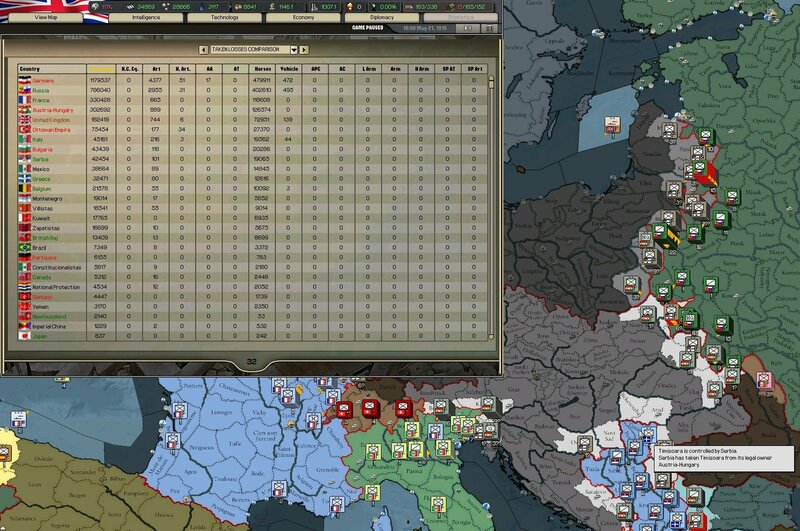 First, the current casualties, and just two years into the war and Germany is already exceeded OTL levels of carnage. Russia has taken a battering, but is holding firm, managing to roll back German advances north of Riga. Currently it looks as though Germany is trying to push the southern Russian front, but progress does seem to be slow. 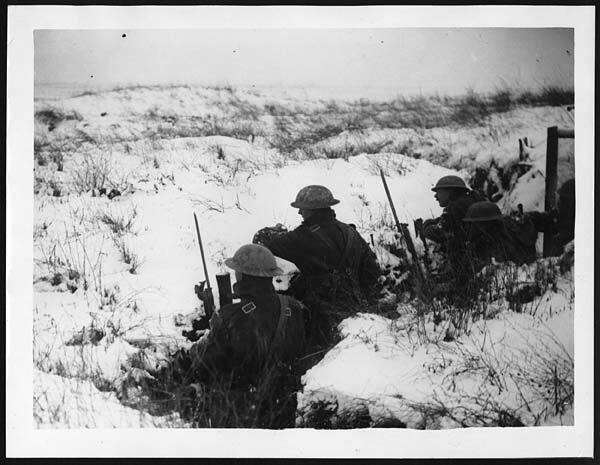 Meanwhile on the Western front, a disasterous winter offensive saw the UK fail to liberate Luxembourg, and so it was decided to dig in and wait for summer. Meanwhile the French have pushed the Germans out of their territory and are now pushing across the border into Metz. In the Middle East the Senussi attacks caught the British off guard, in their moments of triumph in pushing the Ottomans out of the Sinai they were forced to halt, retreat back to the Suez and send forces to Western Egypt to deal with the Senussi, in late November, with the Senussi suing for peace, the focus returned to the Ottomans with the potential for a summer offensive once the current Ottoman assault is easily repulsed. 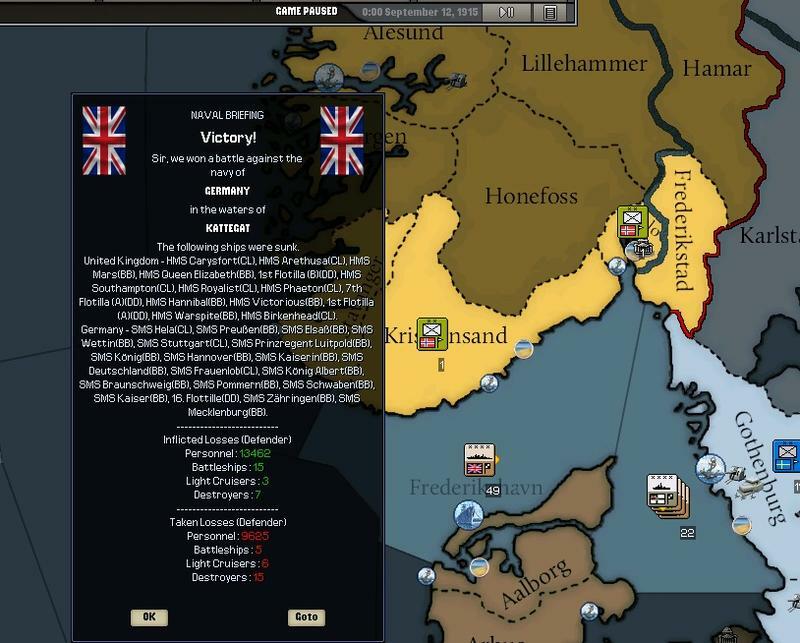 In regards to naval forces, the Royal Navy has been both successful and devastatingly unlucky with the German High Seas Fleet occasionally catching small convoy raider groups and dispatching them quickly before the Grand Fleet can arrive to even the odds. By this way most of the Queen Elizabeth class battleships have been lost, with only HMS Malaya and HMS Agincourt still in service. The keels of five more Queen Elizabeth class battleships have been laid down and they are expected to be ready by 1919. The operational plan for 1916 is to continue to harass the enemy at sea, denying their supply routes wherever possible, push the Ottomans out of Egypt and link up with our British Raj allies who have come through southern Persia to invade the Ottomans from the east, and if the opportunity presents itself on the Western front, assist the French in pushing back the German force.